Much has been said about M. Night Shyamalan over the years, to the point that he’s become a bit of a joke. Well, a big joke. But where did he go wrong? What happened to the filmmaker who surprised everyone with his third directorial effort, the eerie ghost thriller The Sixth Sense (1999), and then followed it up with the cerebral superhero thriller Unbreakable (2000), the fun alien invasion flick Signs (2002), and the Twilight Zone-ish throwback The Village (2004)? Up until then he was being touted the next king of genre movies, on a par with none other than Spielberg. But in the last ten years or so, the guy’s been lost in the woods; 2006’s Lady in the Water made no sense, 2008’s The Happening tried to make plants scary (they’re not), and two big budget spectacles – 2010’s The Last Airbender and 2013’s After Earth – were met with the type of universal disdain usually reserved for politicians or IRS agents. Things get even worse with The Visit, a middling horror outing that falls in the faux documentary/found footage trap that plagues any film where the actors themselves are purportedly recording what the audience sees. By now I can count the times this device has actually worked; not only is it notoriously difficult to pull off, it can become increasingly grating as the story develops. In my case, I particularly dislike the fact that it can very easily pull you out of the movie instead of drawing you in. And that’s exactly what happens here, as two teenagers go on a trip to visit their grandparents for the very first time (doesn’t that already ring fake?) and discover they’re a little bit… weird. The technique is justified by the fact that one of the kids is a hyper-intelligent aspiring director who wants to make a doc on her family. But just like in Cloverfield (2008), where and how the footage is captured is a major source of silliness, as the cameras never stop shooting even as the protagonists face dangerous situations. Turn the damn camera off while you escape, why don’t you. I can buy The Blair Witch Project (1999) or Europa Report (2013) fine, films that cleverly knew what to show and what to leave to the imagination. Here, the stretch is almost impossible to believe. (Having engaging and likable characters also helps, and the two siblings played by Olivia DeJonge and Ed Oxenbould are just plain intolerable). Oh, and I’m not sure what Shyamalan was thinking of when he decided to make Oxenbould’s character a wannabe rapper. His “performances” are probably the worst thing ever committed to film. 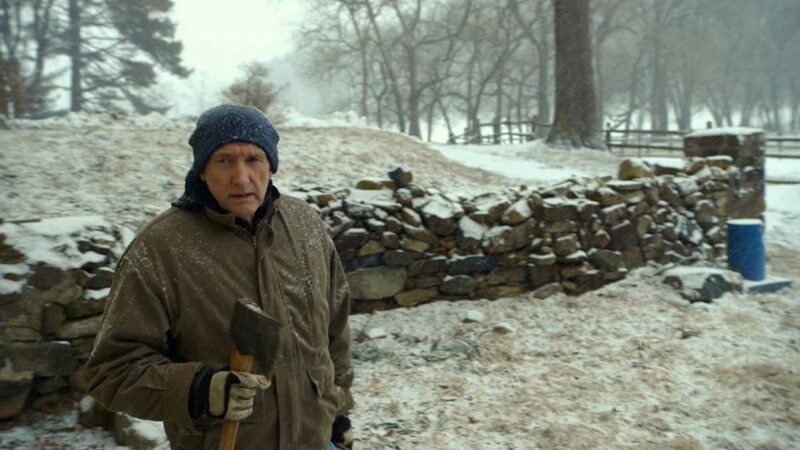 The Visit is an annoying exercise from a filmmaker who has proven to be much better than this. Manoj, please get a writer to help you out next time. Hell, I’m available.